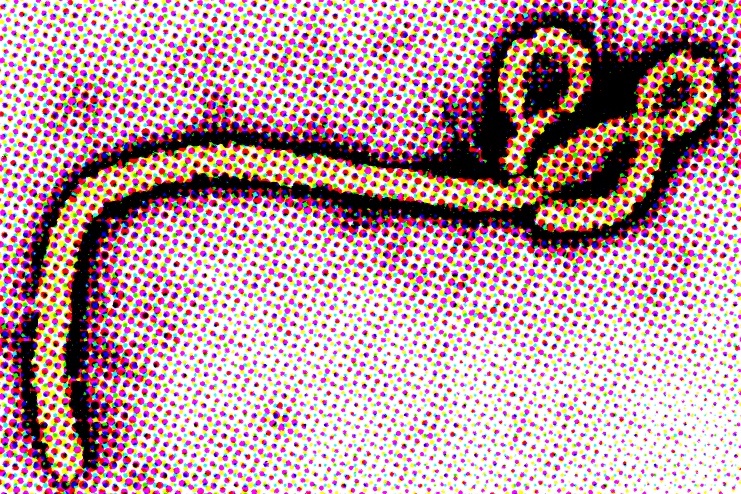 While clearly a humanitarian crisis, the recent Ebola outbreak has proven that rapid spreading diseases are also economics crises. During the ongoing Ebola outbreak many have focused on the horrifying effects of the disease on the human body, only a 20% to 40% chance of survival given the quality of care. However, the survival rate of the economies ravaged by the effects of the disease may prove to be even grimmer. While the media is currently focusing on the frightful Ebola disease, other less scary diseases such as the flu can have even greater economic effects on industrialized economies such as the United States. The three West African countries that have been hit the hardest by the current Ebola outbreak, Sierra Leone, Guinea, and Liberia, have also seen their economic growth gutted by the ongoing effects of the disease. Obviously tourism would be the first sector of the economies to be rocked by the pandemic, but that was just the first domino to fall. Now nearly all sectors including agriculture, mining, manufacturing, and investment have been left in shambles. Sierra Leone in particular has quite possibly taken the biggest blow to its economy. A country that has been experiencing rapid growth and industrialization in recent years. Sierra Leone had growth rates of 15.2% in 2012 and 20.1% in 2013 (Shafer, 2013), making it the second fastest growing economy on Earth. In February, Sierra Leone predicted a 2014 growth rate of 14%. However, now that Ebola has ravaged the country that rate has been dramatically lowered to 7.5% (Shafer, 2013). Another tragedy of the Ebola outbreak is that it has also affected the economies of other African countries that have not even had any cases of Ebola due to what economists are labeling as “aversion behavior”. The International Monetary Fund’s original 2014 prediction of African GDP growth of 5.5% has been recently recalculated to 5% largely due to the Ebola outbreak (York, 2014). With the virus not fully under control yet, African growth rates could continue to fall. Trade, tourism, and investment were cited as the main sectors affected by the outbreak (York, 2014). Ebola has clearly had a huge economic effect on the economies of not only West African countries were the virus has been detected but also Africa as a whole. While Ebola is not currently affecting the economy of the United States, the familiar flu virus has been slamming the US economy for years. CDC stats claim the flu costs $10.4 billion dollars a year on average in hospitalizations and outpatient hospital visits, while other costs such as lost productivity cost the US about $7 billion a year (Trachtenberg, 2014). The effects of the flu are so costly because of how prolific the virus has become. It is estimated that approximately 5% to 20% of the US population contracts it each year (Trachtenberg, 2014). So whether it is the horrific Ebola virus or the yearly flu virus it is plain to see that the economic effects are substantial. While economists tend to focus on the health of industries in an economy, it is imperative that they also focus on the health of a country’s population for a true full spectrum economic analysis. I’m sorry but you will never be able to support your family working at McDonald’s… even with a substantial minimum wage increase. Beginning late last year, fast-food employees organized by local social rights operations and the SEIU began coordinated strikes across the country demanding that the minimum wage be increased to $15/hour. The protests were based largely on employee frustration, not being able to support a family or live by themselves, they directed their rage at their employers. Jobs in fast-food have typically been occupied by teenagers attending, or those that recently graduated from high school and still live with their parents. However, a paradigm shift seems to have occurred and many have begun to believe that their fast-food job should provide the same pay and benefits as most middle-class careers. While many of us would love to see our fellow Americans earn more money and be able to comfortably support a family, raising the minimum wage is not the best option to achieve these goals and will most likely produce the opposite result. While the media has given enormous attention to the plight of the fast-food employee, the Community Organizer-in-Chief Barack Obama stoked the frustration by signing an executive order in early 2014 that raises the minimum wage of federal employees from $7.25 to $10.10. While largely meaningless since the wage increase only applies to new contracts and most federal contract employees make well above the minimum wage, the executive order was given the media’s limelight and kept the minimum wage debate raging. 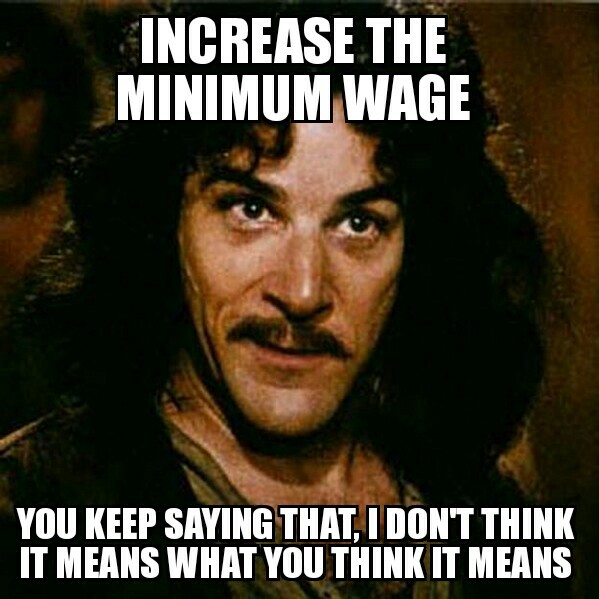 According to a GALLUP poll from early 2013, in the US 71% support a minimum wage increase. While many, including the President, support this feel-good legislation, its effects may not be what they had in mind. A February 2014 report by the Congressional Budget Office examined two possible scenarios, raising the minimum wage to $10.10 (which most democrats support) and an increase to $9.00 (a likely compromise). Interestingly enough, the CBO found that both options would most likely increase unemployment. The $9.00 option could have a slight increase in employment to -200,000 workers. The $10.10 option could have a slight decrease in employment to -1,000,000 workers or roughly 0.6 percent. Now, imagine the $15/hour minimum wage increase that the fast-food workers are pushing for, we would likely see whole percentage point increases to unemployment under that scenario. The CBO study echoes the economic principal that minimum wage laws discriminate against low-skill workers, when your position is no longer economically viable, your position no longer exists. The study also found that while the increase in wages may raise the quality of life for some, it would actually lower the quality of life for others since the wage increase would be passed down to consumers through increased prices. As employment in the US is becoming more costly for businesses, due largely to the Affordable Care Act and the threat of minimum wage increases, employers are looking for substitutes to employees. Namely robots and other technologies that will fulfill the responsibilities of former employees for less money. While this may sound futurist, the technology is already here (and here), it has just not been implemented yet because it is currently more cost effective to have humans do the work. However, as employee costs rise, so will the automation. Already, Panera has announced they are rolling out technology that will allow customers to order from digital kiosks or their mobile phone instead of ordering from a person. Applebee’s and Chili’s are also currently in the process of replacing their waiters with tablets. Speaking from personal experience, I know that fast food jobs are stressful, unrewarding, as well as humiliating. That is what motivated me to find a better job as soon as possible. These positions are not careers, they are stepping stones to a career. There are valuable skills that may be attained while working these jobs such as customer service, cash handling, food preparation, teamwork, and the ability to work under stress. Never sell yourself short and think that you cannot rise above a fast food job. Gain some confidence by hammering out a proper resume, work on interview skills, request a letter of recommendation from a manager or franchise owner, and take some college courses at a community college (which there is plenty of financial aid available for). These social justice operations and the SEIU are feeding into a strong current of frustration amongst fast food employees, but instead of encouraging them to find a better job, they imply that they settle where they are and simply demand more pay. As 34 state legislatures are considering minimum wage increases during 2014, the debate is likely to continue for the foreseeable future. As a majority of Americans favor minimum wage increases, union and social rights operations will continue their pandering to the frustrated. While Americans are inherently generous and would like to see their fellow countrymen succeed, we should not let the feel-good legislation of 2014 become the regret of the future as unemployment increases and prices rise hurting the very people we wanted to assist. Another missed opportunity by the Obama administration to ““usher in a new era of open government”. A recent bi-partisan bill and the Snowden leaks have brought increasing attention to how the US funds its intelligence agencies. The so-called “black budget” is an almost ethereal amount of money that funds the sixteen intelligence agencies that the US government utilizes for data collection and analysis, facilities management and support, as well as data processing and exploitation. The black budget is presented to Congress as part of the annual federal budget, however it is not itemized and it is not even clear as to which agencies will actually receive the funding. 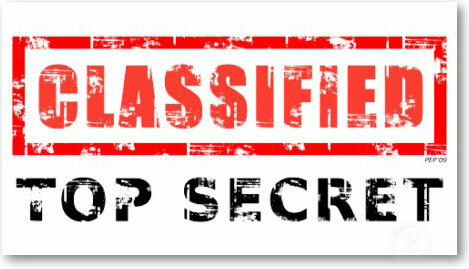 These specifics are often simply replaced with the word “classified”. On January 14th, 2014, Representatives Peter Welch (D-VT), Cynthia Lummis (R-WY), and David Price (D-NC) announced new legislation (H.R.3855 – Intelligence Budget Transparency Act of 2014) that will force the President to disclose how much money is going to each intelligence agency. In a letter to the President, signed by the sponsors of the bill along with 59 other representatives, the argument is made that disclosing the top line budget numbers is the “first step toward accountability and oversight…” The letter also references the recommendation from the 9/11 Commission Report which states that “when even aggregate categorical numbers remain hidden, it is hard to judge priorities and foster accountability.” They go on to call upon the President to enact this reform as part of his proposal for intelligence agency reforms, and to include the information in the fiscal 2015 budget request. While Congress may be writing legislation to force the executive branch to disclose its funding of intelligence agencies, others are not as patient. Former NSA contractor Edward Snowden leaked the Office of the Director of National Intelligence’s multivolume FY 2013 Congressional Budget Justification (also known as the “black budget”) to media outlets such as the Washington Post. The document not only gives the amounts in a per-agency breakdown, but also how those funds are used inside of the agencies. Some of the more interesting revelations have been that CIA and NSA budgets have increased by more than 50% since 2004 and the financing of an NSA team that is responsible for hacking into foreign networks. Compared to the amount of information from the leak by Snowden, the Congressional request for top line budget numbers seem quite modest. It seems clear that even if Congress does not succeed in passing the Intelligence Budget Transparency Act, there is little that can be done to prevent this information from getting to the public, by one way or another. However, this issue is at the forefront in the war of governmental transparency and the when (or if) the bill is actually brought up for a vote, it will be very telling of the direction that the federal government is moving in. While, it seems like an easy way for Obama to partially fulfill his promise of “usher(ing) in a new era of open government” by supporting the bill, there is little evidence that will be the case given the administration’s track record on transparency. The first track, At Night In Dreams, sets the tone by introducing you to the old school soulful feel of the album. The song reminds me of the Steve Miller Band’s Jetliner (one of my favorites), it has a great sense of Rock and Roll urgency. You will be able to tell quickly why I have been really feeling this album as of late. You will find that my musical tastes are all over the place and if I review it, its because I can’t stop listening to it! The title track and Limited By Stature will continue to pull you in as White Denim nails that perfect ‘paper-ripping’ guitar distortion and lets you know the rest of the album is going to be solid. They have some serious chops on all fronts, this isn’t just some retro sounding band. Their Rhythm and Blues tinged throwback Rock is actually able to capture that sound from the era gone. The songs are relevant too, this band found what The Black Keys and Cage the Elephant are looking for. The core of the album; Come Back, Distant Relative Salute, and Let it Feel Good (My Eagles) have more than enough emotion to keep you interested but will not demand it. I would recommend this LP for fans of circa 1970s classic rock, Cold War Kids, and Foxy Shazam. The last song, A Place To Start, seals the deal and reminds you that this album is all about Love. My wife, Cassandra said it reminds her of Al Greene’s soul-tugging sound. Economists have begun to label 18-24 year old segment as a “lost generation”. As the US and the rest of the world begins to pick up the pieces and reshape the economy following the Great Recession, and the preceding financial crisis of 2007, the younger generation seems to have lost their seat at the economic table. Stagnating wages, high unemployment, and technological advances in production among a slew of other factors have left the millennials, particularly 18-24 year olds, at a distant bottom of the new economy of the 21 century. Along with mounting student loan debt, the loss of the US manufacturing industry, and a significant reduction in social mobility, is there any hope for this “lost generation”? The new Census Bureau statistics paint a grim picture of the reality that many of these young adults are now facing and will most likely continue to encounter for the foreseeable future. Beginning with the historically unprecedented fact (expect for recent history of course) that 55% of 18-24 year olds are still living at home with their parents. Only 21.5% maintained steady full time employment in 2012 which is down nearly 9.5% since the beginning of the recession. It may be easy to initially place the blame on the younger individuals themselves for this dire data, however when we examine the wages for this segment, we see that their pay has fallen 5% since 2007 and continues to plummet while wages for other age groups have begun to stabilize. These figures, when taken together, assist in understanding the depressing reality of the macro economy itself, 20% of 18-24 year old Americans lived in poverty last year. Worse yet, the future does not seem to contain an economic light at the end of the tunnel. In his new book, “Average is Over”, economist Tyler Cowen suggests that the disruptive properties of cheap technology and automation have only just started to be implemented by the economy in whole. He predicts that in the near future an elite 10%-15% of the American population will be able to fulfill all critical labor positions in the workforce, leaving the rest to part-time positions and government assistance. Cowen argues that wages will most likely continue to plummet as employers will begin to measure productivity with “oppressive precision”. Also, as the global workforce continues to grow, which increases competition, workers will lose even more bargaining power if the amount of available jobs decreases or does not keep pace. While the current and future economic landscapes are unfriendly to the younger generation, there are some rays of hope in the US job market. In their recent analysis for Forbes that breaks down the US into separate economic regions, Joel Kotkin and Mark Schill highlighted three regions that are experiencing growth which may be the best hopes for 18-24 year olds. The strongest area of current and forecasted growth is what Kotkin and Schill refer to as the “Inland West”. This area, from the Rockies to the coasts of the Pacific Northwest, has experienced 8% job growth in the past decade making it the strongest in the nation. This growth is largely due to the US energy boom from oil and shale natural gas production. The “Great Plains” region is also benefiting from the energy boom and has profited from increased agricultural demand from developing nations, which has increased employment in the region. Also thanks to the energy boom, the “Third Coast” region from Florida to Texas is projected to experience an 18% job base increase during the next decade. The present situation is clear; 18-24 year olds are hurting financially. The technological advances of the 21st century, that this generation has grown up with and loves, are also unfortunately taking their jobs. As many entry-level positions are now accomplished through automation, many of the younger generation have been left under or unemployed entirely. While many may blame the individuals, this is clearly a big economics problem that the nation must face. While there is growth in the energy sector of the US economy, many youths will be forced to uproot to find employment in a region that is growing its job base. Also, since this growth is undiversified it will be highly susceptible to the business cycle and may not provide the reliable, full-time income that is needed to pull that 20% of 18-24 year olds out of poverty in the long-run. One of my favorite genres is electronica, in all flavors, and this release is a funky, complex, and overall fun album that is nearly equal parts high-energy and introspection. This LP has a great variety of electro, disco, dance, vocal and instrumental tracks, a little mellow trip-hop, and a very wise sparse use of dub-step. Something for just about everybody, especially fans of Daft Punk’s recent Random Access Memories. The guitar is surprisingly well done for an electronic album, especially on the track “Turn Back The Time”. 2013 may be the year that those old rehashed guitar samples stop making the cut on electronic albums. The analog-sounding synth hits are another major plus on the record and help in the construction of Camo and Krooked’s minimal yet substantial sound; see “Rock Paper Scissors”. All and all, I thoroughly enjoyed the album. However, I’m not a big fan of those euro-dance style vocals as heard on the songs “Move Around” and “Dreamcatcher”. I feel like they kind of date the album and take away from its overall mystique. Also I would like to see more high-energy and less minimal down-tempo influence on the LP, but again, strictly a personal preference. Let’s finally admit that quantitative easing will not cause wages to rise; only real investment can do so. When looking at the latest graph of US median household income from the Census Bureau we see two things over the years, wages rising and wages falling. Curiously we currently see a flat line, a sign that wages have finally begun to “stabilize” according to Neil Shah’s recent piece in the WSJ titled, “Household Incomes Level Off”. 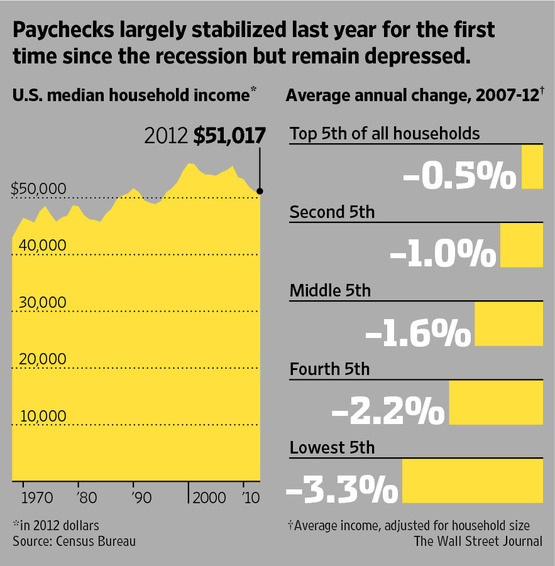 However, isn’t a flat line in wages the most unstable of all trends? Given the history of US wages, doesn’t that mean that wages are about to either go up or down since there is no historical precedent for flat wages in the US? Also since most recent gains in the stock market are due to QE instead of real investment it would appear that wages are unfortunately on their way down. While I do applaud Shah’s optimism, I do not share his naivety towards wages and their direct link to investment. While he is correct that unemployment has declined by about 3% since the peak of the recession, the average amount of money placed into savings accounts by Americans is back down to low 2006 levels. Without this money being available for investment in new businesses or expansions, unemployment will remain well over William Beveridge’s full employment rate of 3% and even the Federal Reserve’s recently declared full employment rate of 6.5%. Without anything close to full employment, wages will not rise significantly because employers will always have other people ready and willing to fill positions for lower pay. Until the worker has greater leverage at the bargaining table, wages will most likely continue to fall, or stagnate, or stabilize; you can describe it however you like. "I have arrived at the conviction that the neglect by economists to discuss seriously what is really the crucial problem of our time is due to a certain timidity about soiling their hands by going from purely scientific questions into value questions."